There is a reasonable population of the common species of plains game but in general this is not a plains game area. 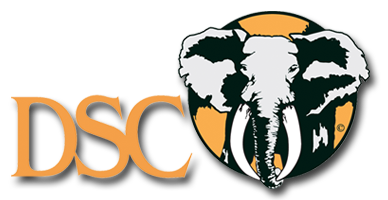 There is a good population of elephant [generally small tusks], buffalo, hippopotamus, crocodiles, impala, klipspringer, bushbuck and kudu, plenty of hyena, monkey and baboons but also some warthog, waterbuck, duiker and zebra. It is not fenced. Probably now one of the biggest of such free roaming areas in the country. Sijarira is a foretsry commission area (25,600ha). Rugged, hilly country with a reasonable network of roads but some areas are only accessible on foot. Hunting is mainly by vehicle, a good deal of footwork and sometimes by boat. Access to Sijarira camp is by road from the Hwange - Binga road to the west. Five hours drive from either Bulawayo or Victoria Falls and there is a registered airstrip right next to camp. Accommodations are stilted units wood under thatch. Each unit has on suite bathrooms with wash hand basin, toilet and a shower. Hot & cold running water. Generated 220 v electricity. There is wireless internet in camp and cell phone signal in a few spots around the area. Good signal from the Zambian towers from camp. Chete is situated on the eastern border of Sijarira. It is a national park hunting area (108,100ha) and one of Zimbabwe’s most rugged concessions. Its hilly country means that the area is not well developed in terms of roads therefore some areas are only accessible on foot. Hunting is mainly by vehicle, sometimes by boat, and a good deal of footwork. 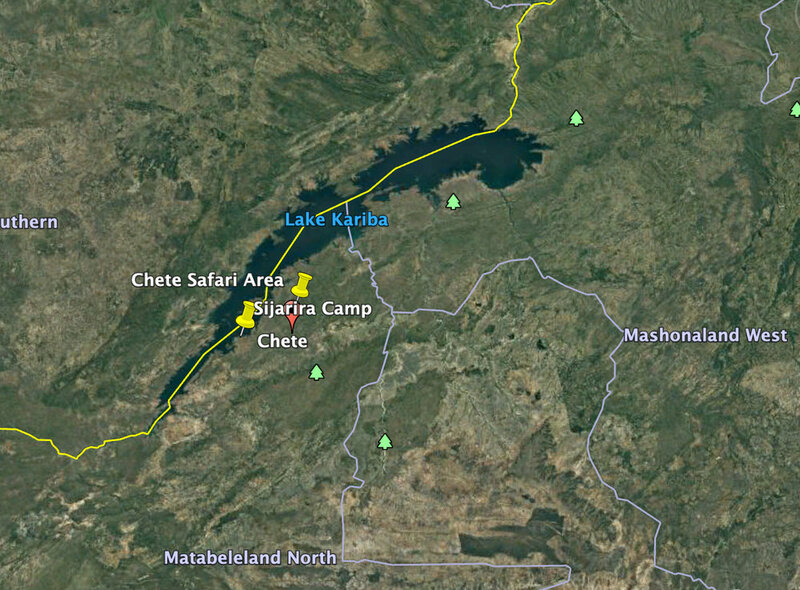 Access to the Chete area is either by road from the Hwange - Binga road to the west ( six to seven hours drive from either Bulawayo or Victoria Falls ) or by boat via Sijarira. There is registered airstrip a few kilometers friom camp. The private camp with lodge facilities on the shores of lake Kariba is mainly used for crocodile & hippo which are hunted in the Binga council areas. They are both plentiful. The camp is also used as a fishing camp. Accommodations are comfortable brick thatched units. Each bungalow has an en-suite bathroom with wash hand basin, toilet and a shower. (Hot & cold running water). National electricity 220v. There is cell phone signal.